Born in Atlanta on January 11, 1971, and raised in New York, Mary J. Blige has risen to the status of one of the most respected and acclaimed R&B and hip hop divas of the 90s. Mary's talent for success comes from her ability to blend pure R&B vocals, hip hop beats, and streetwise appearances - resulting in the tag, "Queen of Hip-Hop Soul." Radio listeners first became aware of Mary with her cross-over hit "You Remind Me." Video play of her next single, "Real Love" made listeners realize Mary was not just another hip-hop singer, but a developing force in music. As "Real Love" became a huge cross-over hit, Mary's debut LP What's The 411? became a Top 10 smash, and spawned additional the singles "Reminisce" and "Love No Limit" as well as the classic remake of Chaka Khan's "Sweet Thing." Mary topped the Billboard R&B Singles chart for 1 week with "You Remind Me." Mary hit the Top 40 with "You Remind Me." The single "You Remind Me" was certified gold. What's The 411? was certified gold. Mary hit the Top 40 with "Real Love." Mary topped the Billboard Top R&B Albums chart for 7 weeks with What's The 411? What's The 411? was certified platinum. Mary topped the Billboard R&B Singles chart for 2 weeks with "Real Love." Mary hit the Top 10 with "Real Love." "Real Love" was certified gold. Mary hit the Top 40 with her cover of "Sweet Thing." Mary hit the Top 40 with "Reminisce." Mary was nominated for an American Music Award for Favorite Soul/R&B Female Artist. What's The 411? was certified 2x platinum. Mary won 2 Soul Train Music Awards for Best New Artist and Best Single, Female ("Real Love"). Mary hit the Top 40 with "Love No Limit." The video for "Real Love" was nominated for 2 MTV Video Music Awards for Best R&B Video and Best Choreography. Mary released a remix LP, What's The 411? Remix Album. Mary won a Source Award for R&B Artist of the Year. Mary's second LP, My Life was released and also became a Top 10 hit with several cross-over singles such as "Be Happy" and "I'm Going Down." Mary hit the Top 40 with "Be Happy." The appeal of Mary's music and videos continued with a song for the Waiting To Exhale soundtrack, "Not Gon' Cry" which to many became Angela Bassett character's theme song. My Life topped the Billboard R&B Albums chart for 8 weeks. Mary hit the Top 10 with "Be Happy." My Life was certified platinum. Mary hit the Top 40 with "I'm Going Down." My Life was certified 2x platinum. Mary could be heard on Method Man's Top 40 hit, "I'll Be There For You / You're All I Need" and the remake of Aretha Franklin's classic, "(You Make Me Feel Like A) Natural Woman" from the New York Undercover soundtrack. Mary topped the Billboard R&B Singles chart for 3 weeks, the R&B Single Sales chart for 5 weeks, the Hot Dance Music Maxi-Singles Sales chart for 5 weeks, and the Hot Rap Singles chart for 6 weeks with "I'll Be There For You / You're All I Need." Mary hit the Top 10 with "I'll Be There For You / You're All I Need." Mary topped the Billboard Singles Sales chart for a week with "I'll Be There For You / You're All I Need." Mary topped the Billboard Hot Dance Music Club Play chart for a week with "You Bring Me Joy." My Life was certified 3x platinum. Mary topped the Billboard Year-End Chart-Toppers with the Top R&B Album, Top R&B Album Artist, Top R&B Album Artist - Female, and Top Hot Dance Maxi-Single Sales ("I'll Be There For You / You're All I Need"). Mary was nominated for an American Music Award for Favorite Soul/R&B Album (My Life). Mary hit the Top 40 with "Not Gon' Cry" from the Waiting To Exhale soundtrack. Mary topped the Billboard Hot R&B Singles Airplay chart for 6 weeks with "Not Gon' Cry." Mary won a Grammy Award for Best Rap Performance by a Duo or Group ("I'll Be There For You / You're All I Need" with Method Man) and was nominated for Best R&B Album (My Life). Mary topped the Billboard Hot 100 Singles Sales chart for 5 weeks, the Hot R&B Singles chart for 5 weeks, and the Hot R&B Singles Sales chart for 4 weeks with "Not Gon' Cry." The single "Not Gon' Cry" was certified gold and hit the Top 10. The single "Not Gon' Cry" was certified platinum. Mary was nominated for a Grammy Award for Best R&B Vocal Performance - Female ("Not Gon' Cry"). Mary's third LP, Share My World was released and became Mary's first #1 LP and produced the Top 40 hit "Love Is All We Need" - her 5th Top 10 hit. Other hit singles and videos from the LP included "Everything" and "I Can Love You." Share My World topped the Billboard 200 Albums chart for a week and the Billboard R&B Albums chart for 4 weeks. Mary hit the Top 10 with "Love Is All We Need." "Love Is All We Need" topped the Billboard Dance Music Club Play chart for a week. Share My World was certified platinum. Mary hit the Top 40 with "I Can Love You." Mary hit the Top 40 with "Everything." Mary hit the Top 10 with "Everything." Share My World was certified 2x platinum. Mary won an American Music Award for Favorite Soul/R&B Album (Share My World) and was nominated for Favorite Female soul/R&B Artist. Mary was nominated for a Grammy Award for a R&B Album (Share My World). Mary was nominated for 2 Soul Train Award nominations for Best R&B Soul Single ("Everything") and Best R&B/Soul Album, and won a Soul Train Lady of Soul Award for R&B Soul Album of the Year (solo). Mary was also nominated for a NAACP Image Award for Outstanding Female Artist. Mary released The Tour - a live LP containing 23 tracks from her 97-98 tour. The LP contained many of her hits as well as covers of Aretha Franklin's "Daydreaming" and Dorothy Moore's "Misty Blue." Blige also started her own record label in the winter called Mary Jane Entertainment. Blige told SonicNet: "...I'm confident that I know what I'm doing... I've got a lot of years behind me in this game, and my experiences can help my artists out." Blige talked with CNN about the mistakes on the live LP: "I just, you know, decided to give the fans the warning of what a concert is about instead of going back and tricking them like I'm that dope, I'm that perfect 'cause I'm not." She also stated, "There's a lot of talent out there in those ghettos and everywhere else... so you got to realize that what you have is a gift and a blessing and just move forward like that, and don't think that you're better because your job is better." Blige could be heard on the soundtrack to How Stella Got Her Groove Back with the track "Beautiful." The Tour was certified gold. Mary could be heard on DMX's LP Flesh Of My Flesh, Blood Of My Blood with "Coming From." Mary was nominated for a Grammy Award for Best R&B Vocal Performance by a Duo or Group ("Lean On Me" (with Kirk Franklin & The Family, R. Kelly, U2, and Crystal Lewis) from Franklin's Nu Nation Project). Share My World was certified 3x platinum. Mary's next LP, Mary, was released and included some help from Aretha Franklin, Lauryn Hill, DMX, Eric Clapton, Elton John, Nas, and K-Ci & JoJo. The LP debuted at #2 on the Pop LP charts and #1 on the R&B LP charts (for 3 weeks). The first single from the new LP was the Top 40 hit "All That I Can Say" (written and produced by Lauryn Hill). Another track, "Time" addresses current issues in the inner city: "In the ghettos there's a lot of people dying every day, people getting shot for no apparent reason, people gambling in the hallways and getting killed. When I was living in Yonkers, someone got shot over a dime. "Time" is for the inner cities, you know what I mean? There's not enough room in the hospitals to take care of people, and nobody wants to fix up the buildings for the bums. Time is just not on our sides; its just not. Not in a bad way but what Im sayin is you should try to work toward doing the right thing because you could be gone tomorrow." Mary topped the Billboard R&B Albums chart for 3 weeks. Mary took part in NetAid. Mary was nominated for 2 MTV Europe Music Awards for Best Video and Best Song ("As" with George Michael). Mary was honored at the 1999 Heroes Awards by the RIAA. MTV: 100 Greatest Videos Ever Made includes "I'll Be There For You / You're All I Need" at # 84. Mary was nominated for a Brit Award for Best International Female Solo Artist. What's The 411? was certified 3x platinum and What's The 411? Remix Album was certified gold. Mary was nominated for 3 Grammy Awards for Best R&B Vocal Performance - Female ("All That I Can Say"), Best R&B Vocal Performance by a Duo or Group ("Don't Waste Your Time" with Aretha Franklin), and Best R&B Album (Mary). Mary won a Soul Train Music Award for Best R&B/Soul Album, Female (Mary) and was also nominated for Best R&B/Soul or Rap Album. Mary took part in South Africa's Freedom Week celebration. Mary hit the Top 40 with "Give Me You." Mary teamed with comic book creator Stan Lee on a cartoon for not only her tour opening sequence but also an "Internet-based series." Blige will lend her voice and contribute storylines to Webisodes and said of the experience: "Having been raised on the hard streets of the city, in my case Yonkers, the chance to be transformed into a 'Protector of the Hood' sends a powerful message to my fans that your community is what you make of it, that you can be super hero every day." Mary won 2 Soul Train Lady of Soul Awards for R&B/Soul Album of the Year, Solo (Mary) and R&B/Soul or Rap Song of the Year ("All That I Can Say") and was also nominated for Best R&B/Soul Single - Solo ("All That I Can Say"). Mary hit #1 on Billboard's Dance Chart with "Your Child" for 1 week. Mary was certified 2x platinum. Mary hit the Top 40 helping out Wyclef Jean with "911." Mary was a recipient of Rock The Vote's Patrick Lippert Award for her work with various charity organizations including the Partnership for a Drug Free America, Special Olympics, and the M.A.C. AIDS Foundation. Mary was nominated for a Grammy Award for Best R&B Vocal Performance by a Duo or Group ("911" with Wyclef Jean). Mary was nominated for a Soul Train Music Award for Best R&B/Soul Single, Female ("Your Child"). Mary won a BET Award for Best Female R&B Artist. Mary's next LP, No More Drama, was released. Mary hit the Top 40 with "Family Affair." No More Drama topped the Billboard Hot R&B/Hip-Hop Albums chart for 2 weeks. Mary could be heard on the All-Star Tribute benefit single "What's Going On" (with proceeds going to AIDS and 9/11 charities). Mary hit the Top 10 with "Family Affair." Mary topped the Billboard Hot 100 chart for 6 weeks, the Hot 100 Airplay chart for 5 weeks, the Top 40 Tracks chart for 5 weeks, the Hot R&B/Hip-Hop Singles & Tracks chart for 2 weeks, and the R&B/Hip-Hop Singles Sales chart for 6 weeks with "Family Affair." Mary hit #1 with "Family Affair" for 4 weeks. Mary could be heard on Busta Rhymes' LP, Genesis, on the track "There's Only One." Mary hit the Top 40 with "No More Drama." Mary released a repackaged version of No More Drama with bonus tracks. Mary started a tour in the US through March and then overseas. Mary was nominated for 2 Grammy Awards for Best R&B Vocal Performance - Female ("Family Affair") and Best R&B Album (No More Drama). Mary went home empty-handed but stole the show with her performance of "No More Drama." No More Drama was certified 2x platinum. Mary hit the Top 10 with "No More Drama." Mary topped the Billboard Maxi-Singles Sales chart for a week with "No More Drama." Mary topped the Billboard Hot Dance Music Club Play chart for a week with "No More Drama" (Thunderpuss Remixes). Mary hit the Top 40 with "Rainy Dayz" featuring Ja Rule. Mary performed on VH1 Divas 2002: Divas Las Vegas. Mary hit the Top 10 with "Rainy Dayz." Mary released another remix LP - Dance For Me. Mary's video for "No More Drama" won a MTV Video Music Award for Best R&B Video and the video for "Family Affair" was nominated for Best Choreography (Fatima Robinson). Mary ranked # 69 on VH1: 100 Sexiest Artists. Mary could be heard on the Brown Sugar soundtrack with "Never Been." Mary could be heard on Irv Gotti Presents... The Remixes with "Rainy Dayz" (with Ja Rule). Rolling Stone: 50 Essential 'Woman In Rock' Albums includes My Life at # 17. 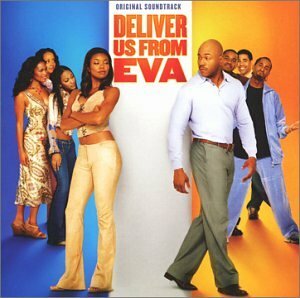 Mary could be heard on the soundtrack for Deliver Us From Eva with "Star Tonight." Mary won an American Music Award for Favorite Hip-Hop/R&B Female Artist. Mary was nominated for a Soul Train Music Award for Female R&B/Soul Album (No More Drama - repackaged). Mary won a Grammy Award for Best R&B Vocal Performance - Female ("He Think I Don't Know"). 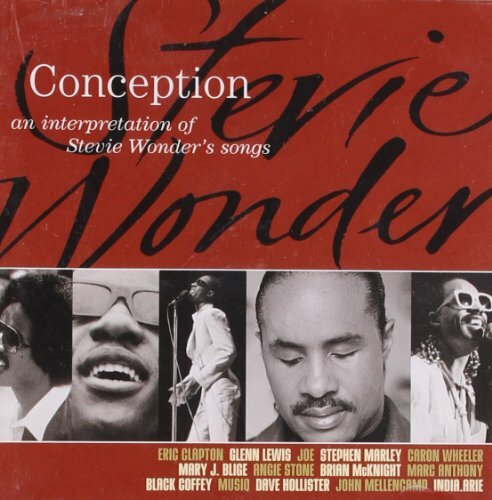 Mary could be heard on the tribute compilation - Conceptions: Musical Tribute To Stevie Wonder - with "Overjoyed." Mary performed on VH1's Diva Duets 2003. VH1: 100 Best Songs of the Past 25 Years includes "Real Love" at # 69. Mary could be heard on the Bad Boys 2 soundtrack with the track "Didn't Mean." Mary's next LP, Love & Life, was released. The LP was executive-produced by P. Diddy and also got help from Dr. Dre, 50 Cent, Jay-Z, and Method Man. Mary along with Method Man hit the Top 40 with "Love At 1st Sight." Mary topped the Billboard Hot R&B/Hip-Hop Singles Sales chart for 2 weeks with Method Man on "Love At 1st Sight." Mary's contribution to Common's video for "Come Close" was nominated for a MTV Video Music Award for the MTV2 Award. Mary also performed at the ceremony. Mary performed on The Today Show Concert Series. Mary topped the Billboard Top 200 LP chart for a week and Top R&B/Hip-Hop Albums chart for 2 weeks with Love & Life - the LP sold over 286,000 its first week of release in the US. Mary talked with VH1 about working with P. Diddy again: "He has not changed at all! Hes still the same Puffy but hes grown up and Ive grown up a lot. We didnt miss a beat in the studio; its like separately we actually have gotten better over the years." Mary was heard on Aretha Franklin's next LP, So Damn Happy on the tracks "Holdin' On" and "No Matter What." Mary appeared on Sting's next LP, Sacred Love on the track "Whenever I Say Your Name." Love & Life was certified platinum. Mary got married to record producer Kendu Isaacs. Mary hit the Top 40 with "Not Today" with help from Eve. Rolling Stone: The 500 Greatest Albums of All Time: # 279: My Life. Mary won a Grammy Award for Best Pop Collaboration with Vocals ("Whenever I Say Your Name" with Sting), and was nominated for Best R&B Vocal Performance - Female ("Ooh!") and Best Contemporary R&B Album (Love & Life). Mary could be heard on the soundtrack for Shark Tale with "Got To Be Real." # 34 on the Top Pop Artists of the Past 25 Years chart. Mary performed as part of the benefit show Tsunami Aid: A Concert Of Hope on NBC. Mary could be heard on The Game's LP The Documentary with "Don't Worry." Mary could be heard on Will Smith's LP Lost And Found with "Tell Me Why." Mary could be heard on Missy Elliott's LP The Cookbook with "My Struggles." Mary performed on Shelter From The Storm: A Concert For The Gulf Coast - a benefit program shown on all the major networks simultaneously to raise money for those affected by Hurricane Katrina. Mary could be heard on the Ray Charles LP Genius And Friends with the duet "It All Goes By So Fast." Mary could be heard on the compilation LP So Amazing... An All-Star Tribute To Luther Vandross with "Never Too Much." Mary released her next LP The Breakthrough. Mary could be heard on The Notorious B.I.G. posthumous creation - Duets: The Final Chapter. Mary hit the Top 40 with "Be Without You." Mary topped the Billboard 200 LP chart, Top R&B/Hip-Hop Albums chart, Top Digital Albums chart, and Top Internet Albums chart with The Breakthrough - selling over 727,000 copies in the US during the first week of release. Mary topped the Billboard Hot R&B/Hip-Hop Songs chart and Hot R&B/Hip-Hop Airplay chart with "Be Without You." The single spent 15 weeks on top of the Billboard Hot R&B/Hip-Hop Songs chart - the longest ever for a #1 song. The Breakthrough was certified platinum. Mary topped the Billboard Adult R&B chart and Hot 100 Airplay chart with "Be Without You." Mary performed at the Grammy Awards. Mary hit the Top 10 with "Be Without You." Mary topped the Billboard Hot Dance Club Play chart, Rhythmic Airplay chart, and Pop 100 Airplay chart with "Be Without You." Mary hit #1 for 4 weeks with "Be Without You." The Breakthrough was certified 2x platinum. Mary topped the Billboard Hot Dance Airplay chart with "Be Without You." Mary could be heard on LL Cool J's LP Todd Smith on the track "Favorite Flavor." Mary performed on Saturday Night Live. Mary won 2 BET Awards for Best Female R&B Artist and Video of the Year ("Be Without You"). Mary was nominated for a MTV Video Music Award for Best R&B Video ("Be Without You"). Mary won 2 Billboard R&B/Hip-Hop Awards for Top R&B/Hip-Hop Song and Hot R&B/Hip-Hop Songs Airplay ("Be Without You"). Mary could be heard on Ludacris' new LP Release Therapy with the track "Runaway Love." Mary could be heard on Diddy's LP Press Play with "Making It Hard." Mary won 2 American Music Awards for Favorite Soul/R&B Female Artist and Favorite Soul/R&B Album (The Breakthrough), and was nominated for Artist of the Year. Mary performed at the ceremony. Aretha could be heard on the Bobby soundtrack with Aretha Franklin with "Never Gonna Break My Faith." Mary released the hits collection Reflections - A Retrospective. Mary hit the Top 40 helping out Ludacris with "Runaway Love." Mary topped the Billboard Year-End Charts as the Top R&B/Hip-Hop Artist (singles & albums), Top R&B/Hip-Hop Artist - Female (singles & albums), Top R&B/Hip-Hop Album Artist, Top R&B/Hip-Hop Album Artist - Female, Top Hot R&B/Hip-Hop Songs Artist, Top Hot R&B/Hip-Hop Songs Artist - Female, Top Hot Adult R&B Artist, and with the Top Hot 100 Single Airplay, Top Hot R&B/Hip-Hop Song Airplay, and Top Hot R&B/Hip-Hop Song ("Be Without You") and Top R&B/Hip-Hop Album (The Breakthrough). Mary topped the Billboard Adult R&B chart with "Take Me As I Am." Mary topped the Billboard Hot Rap Tracks chart helping out Ludacris with "Runaway Love." Mary won 3 Grammy Awards for Best R&B Album (The Breakthrough), Best R&B Vocal Performance - Female, and Best R&B Song (awarded to the songwriter) ("Be Without You") (with Johnta Austin, Bryan-Michael Cox and Jason Perry), and was nominated for Record of the Year, Song of the Year (awarded to the songwriter) ("Be Without You"), Best Pop Collaboration with Vocals ("One" with U2), Best R&B Vocal Performance by a Duo or Group ("Love Changes" with Jamie Foxx), and Best Traditional R&B Vocal Performance ("I Found My Everything" with Raphael Saadiq). Mary performed at the ceremony. Mary hit the Top 10 helping out Ludacris with "Runaway Love." Mary topped the Billboard Hot 100 Airplay chart helping out Ludacris with "Runaway Love." Mary won a Soul Train Music Award for Best R&B/Soul Album, Female (The Breakthrough). The Breakthrough was certified 3x platinum. Blige won a BET Award for Best Collaboration for "Runaway Love" with Ludacris. Blige could be heard on the 50 Cent LP Curtis on the track "All Of Me." Mary topped the Billboard Hot Dance Club Play chart helping out Chaka Khan with "Disrespectful" from Chaka's LP Funk This. Mary performed at the American Music Awards. December 18: Mary released Growing Pains. Mary could be heard on the Wyclef Jean LP Carnival II: Memoirs Of An Immigrant on the track "What About The Baby." The single "Be Without You" was certified 2x platinum. Mary topped the Billboard 200 LP chart, Top Digital Albums chart and Top R&B/Hip-Hop Albums chart with Growing Pains. Mary was named in an investigation looking into the receivership or usage of steroids in the entertainment industry according to a published report. Mary topped the Billboard Hot Dance Club Play chart for a week with "Just Fine." Mary won 2 Grammy Awards for Best R&B Vocal Performance by a Duo or Group ("Disrespectful" with Chaka Khan), and Best Gospel Performance ("Never Gonna Break My Faith" with Aretha Franklin - a tie with the Clark Sisters), and was nominated for Best R&B Vocal Performance - Female ("Just Fine"). Mary began a co-headlining tour with Jay-Z called the 'Mary J. Blige & Jay-Z: Heart of the City' tour. Entertainment Weekly: 100 Best Albums of the Last 25 Years included My Life at # 70. Mary hit the Top 40 as part of Artists Stand Up For Cancer with the charity single "Just Stand Up!" The video for "Just Fine" was nominated for a MTV Video Music Award for Best Hip-Hop Video. Mary could be heard on the T-Pain LP Thr33 Ringz on the track "Change." Mary was nominated for 2 American Music Awards for Favorite Soul/R&B Female Artist and Favorite Soul/R&B Album. Rolling Stone: 'The Greatest Singers' includes Mary at # 100. Mary topped the Billboard Hot Adult R&B Airplay chart helping out Musiq Soulchild with "IfULeave" from his LP OnMyRadio. Mary won a Grammy Award for Best Contemporary R&B Album (Growing Pains). Mary could be heard on the Queen Latifah LP Persona on the track "People." Mary could be heard on the Music Inspired By The Film More Than A Game soundtrack on the track "Stronger." Mary could be heard on the Rod Stewart LP Soulbook on the track "You Make Me Feel Brand New." Mary released Stronger With Each Tear. Mary topped the Billboard R&B/Hip-Hop Albums chart with Stronger With Each Tear. Growing Pains was certified platinum and Stronger With Each Tear was certified gold. Mary was nominated for a Grammy Award for Best R&B Vocal Performance by a Duo or Group ("IfULeave" with Musiq Soulchild). Mary released My Life II: The Journey Continues, Act 1. Mary was nominated for a Golden Globe Award for Best Original Song ("The Living Proof" from the film The Help). My Life II: The Journey Continues, Act 1 was certified gold. 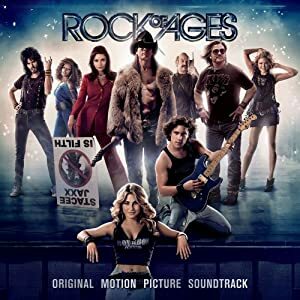 Mary could be seen in the film Rock Of Ages and heard on the Rock Of Ages soundtrack. Mary could be heard on the Nas LP Life Is Good on the track "Reach Out." October 15: Mary released the holiday LP A Mary Christmas. December 4: A Mary Christmas was certified gold. January 26: Mary was nominated for a Grammy Award for Best Rap/Sung Collaboration ("Now Or Never" with Kendrick Lamar). November 23: Mary was nominated for an American Music Award for Favorite Soul/R&B Female Artist. December 2: Blige released The London Sessions. December 20: Blige topped the Billboard R&B/Hip-Hop Albums chart with The London Sessions. February 8: Blige was nominated for a Grammy Award for Best Dance Recording ("F For You" with Disclosure). February 28: Blige topped the Billboard Dance Club Play Songs chart with "Right Now." November 22: Blige was nominated for an American Music Award for Favorite Soul/R&B Female Artist. December 3: Blige could be seen in the NBC live production of The Wiz Live! April 28: Mary released Strength Of A Woman. January 7: Blige was nominated for 2 Golden Globe Awards including Best Supporting Actress in a Motion Picture (for her performance in Mudbound) and for Best Original Song ("Mighty River" from Mudbound). March 4: Blige was nominated for 2 Academy Awards including Best Supporting Actress (for her performance in Mudbound) and for Best Original Song ("Mighty River" from Mudbound). Blige is the first person to ever be nominated in both categories in the same year. April 6: Blige could be heard on the tribute compilation Restoration: Reminagining The Songs Of Elton John And Bernie Taupin on the track "Sorry Seems To Be The Hardest Word." Tracks: "Leave A Message" - "Reminisce" - "Real Love" - "You Remind Me" - "Sweet Thing" - "Love No Limit" - "I Don't Want To Do Anything" - "Slow Down" - "My Love" - "Changes I've Been Going Through" - "What's The 411?" Tracks: "Leave A Message" - "You Don't Have To Worry" - "My Love" - "Real Love" - "What's The 411?" - "Reminisce" - "Mary And Andre" - "Sweet Thing" - "Love No Limit" - "You Remind Me" - "Changes I've Been Going Through" - "I Don't Want To Do Anything"
Tracks: "Mary Jane (All Night Long)" - "You Bring Me Joy" - "I'm The Only Woman" - "My Life" - "You Gotta Believe" - "I Never Wanna Live Without You" - "I'm Going Down" - "Be With You" - "Mary's Joint" - "Don't Go" - "I Love You" - "No Once Else" - "Be Happy"
Tracks: "I Can Love You" - "Love Is All We Need" - "Round And Round" - "Share My World" - "Seven Days" - "It's On" (with R. Kelly) - "Thank You Lord" - "Missing You" - "Everything" - "Keep Your Head" - "Can't Get You Off My Mind" - "Get To Know You Better" - "Searching" - "Our Love" - "Not Gon' Cry"
Live Tracks: "Real Love" - "You Remind Me" - "Reminisce" - "Sweet Thing" - "Mary Jane (All Night Long)" - "Love No Limit" - "Summer Madness" - "My Life" - "You Gotta Believe" - "Slow Down" - "Mary's Joint" - "I'm The Only Woman" - "Share My World" - "I'm Going Down" - "Thank You Lord" - "I Can Love You" - "Keep Your Head" - "Everything" - "Seven Days" - "Not Gon' Cry" - "Missing You" - "Daydreaming" - "Misty Blue"
Tracks: "Love" - "Family Affair" - "Steal Away" - "Crazy Games" - "PMS" - "No More Drama" - "Keep It Moving" - "Destiny" - "Where I've Been" - "Beautiful Day" - "Dance For Me" - "Flying Away" - "2U" - "In The Meantime" - "Testimony"
Tracks: "Love" - "Family Affair" - "Steal Away" - "He Think I Don't Know" - "PMS" - "No More Drama" - "Rainy Dayz" (featuring Ja Rule) - "Where I've Been" - "Beautiful Day" - "Dance For Me" - "No More Drama" (P. Diddy / Mario Winans Remix) - "Flying Away" - "Never Been" - "2U" - "In The Meantime" - "Forever No More" - "Testimony"
Tracks: "No More Drama" (Thunderpuss Remix) - "Family Affair" (Spanish Fly Remix) - "Everything" (Curtis & Moore Vocal Mix) - "Rainy Dayz" (Thunderpuss Remix) - "He Think I Don't Know" (Hex Hector Remix) - "Your Child" (Junior Vasquez Remix) - "Never Been" (Al B Rich Remix) - "Dance For Me" (G-Club Mix) - "Give Me You" (Extended Nino Radio Mix) - "Let No Man Put Asunder"
Tracks: "Love & Life" (with Jay-Z) - "Don't Go" - "When We" - "Not Today" (with Eve) - "Finally Made It" (Interlude) - "Ooh!" - "Let Me Be The 1" (with 50 Cent) - "Love At 1st Sight" (with Method Man) - "Willing & Waiting" - "Free" (Interlude) - "Friends" - "Press On" - "Feel Like Making Love" - "It's A Wrap" - "Message In Our Music" (Interlude) - "All My Love" - "Special Part Of Me" - "Ultimate Relationship"
Tracks: "Work That" - "Grown Woman" (featuring Ludacris) - "Just Fine" - "Feel Like A Woman" - "Stay Down" - "Hurt Again" - "Shakedown" (featuring Usher) - "Till The Morning" - "Roses" - "Fade Away" - "What Love Is" - "Work In Progress (Growing Pains)" - "Talk To Me" - "If You Love Me?" - "Smoke" - "Come To Me (Peace)"
Tracks: "Tonight" - "The One" (featuring Drake) - "Said And Done" - "Good Love" (featuring T.I.) - "I Feel Good" - "I Am" - "Each Tear" - "I Love U (Yes I Du)" - "We Got Hood Love" (featuring Trey Songz) - "Kitchen" - "In The Morning" - "Color"
Tracks: "Intro" - "Feel Inside" (featuring Nas) - "Next Level" (featuring Busta Rhymes) - "Ain't Nobody" - "25/8" - "Don't Mind" - "No Condition" - "Mr. Wrong" (featuring Drake) - "Why" (featuring Rick Ross) - "Love A Woman" (featuring Beyoncé) - "Empty Prayers" - "Need SOmeone" - "The Living Proof"
Tracks: "Little Drummer Boy" - "Have Yourself A Merry Little Christmas" - "My Favorite Things" - "This Christmas" - "The Christmas Song" - "Rudolph The Red-Nosed Reindeer" - "When You Wish Upon A Star" - "Mary, Did You Know" - "Do You Hear What I Hear?" - "Petit Papa Boel" - "The First Noel" - "Noche De Paz (Silent Night)"
Tracks: "Therapy" - "Doubt" - "Not Loving You" - "When You're Gone" - "Right Now" - "My Loving" - "Long Hard Look" - "Whole Damn Year" - "Nobody But You" - "Pick Me Up" - "Follow" - "Worth My Time"
Tracks: "Love Yourself" (featuring Kanye West) - "Thick Of It" - "Set Me Free" - "It's Me" - "Glow Up" (featuring Quavo, DJ Khaled & Missy Elliott) - "U + Me (Love Lesson)" - "Indestructible" - "Thank You" - Survivor" - "Find The Love" - "Telling The Truth" (featuring KAYTRANADA) - "Strength Of A Woman" - "Hello Father"
from the LP What's The 411?